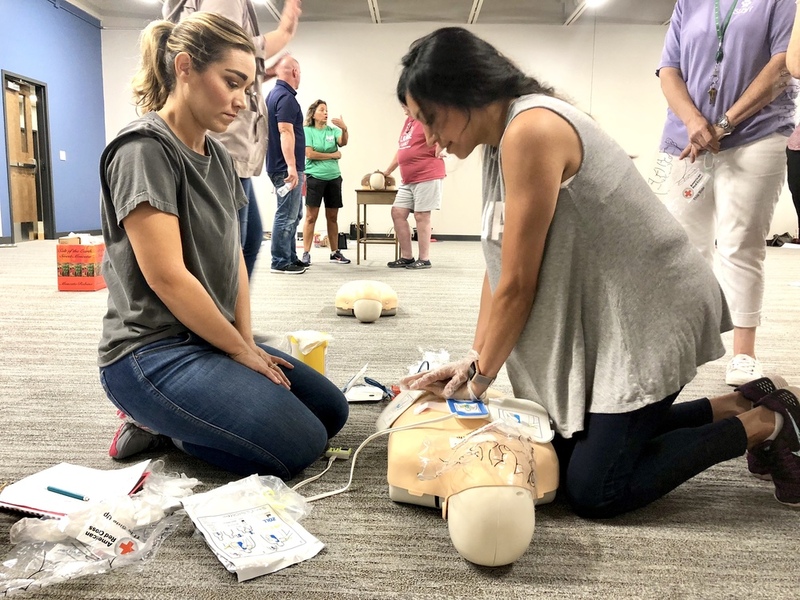 Those teachers and staff who weren't already certified in cardiopulmonary resuscitation and Automated External Defibrillator (AED) techniques were trained and certified by School Nurse Kim Nutt the morning of August 10. The participants were first given instruction and had an individual practice round before teaming up with a co-worker for the qualifying demonstration. Preschool aide Yareli Paz is seen here being monitored by Ms. Nutt.